Ger Kirwan Mobile Welding Service have been providing quality welding services to customers based throughout Waterford,Tipperary & Kilkenny for over a decade. We have invested in the latest welding technology in order to deliver a top quality service. 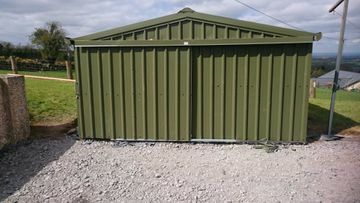 Our services are available to both domestic & commercial customers & we undertake projects of all sizes, from gates & fences up to farm maintenance works. At Ger Kirwan Mobile Welding Service we offer a comprehensive range of welding services available for projects of all sizes. As a mobile service we are able to complete all our work on-site at your location, minimising any hassle. The team at Ger Kirwan Mobile Welding Service have been trained to the highest standards, guaranteeing the high-quality and efficiency of each project we undertake. Ger Kirwan Mobile Welding Service adhere to strict standards with regards to quality and health and safety. We ensure our work is completed in the safest, most efficient manner possible. We are specialists in crafting high-quality gates and railing for use on all types of properties. Products are crafted by members of our skilled team and we can tailor them to your specifications. 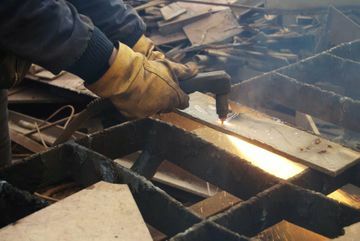 At Ger Kirwan Mobile Welding Service we offer a free quotation on all work, just call us with your ideas and we will provide you with a fair price. Ger Kirwan Mobile Welding Service are fully insured and certified to Irish welding standards. For a fast and efficient service call us now. Ger Kirwan Mobile Welding Service also offer a complete farm maintenance service available for farms of all sizes. 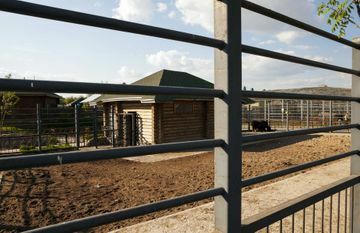 We have worked with many farms over the years of all specifications, restoring their premises and ensuring it is fit for purpose. 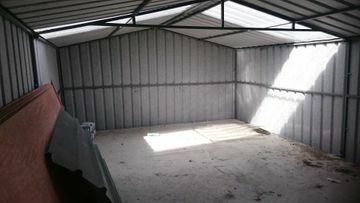 We have a strong reputation for our keen attention to detail, maintaining all aspects of your metal farm properties. 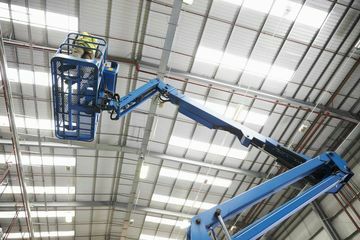 We also have a cherry picker available to hire with daily and weekly rates available. Our cherry picker can reach up to 45ft and, if required, we can also provide a trained, fully insured driver to operate the vehicle.